Make sure to get signed up for the Cozy Box Swap! Winter themed swap to keep you cozy throughout the winter. Get to know your partner and send items that they would like. This box should give off a cozy feel. Send favorite items, Christmas stuff, hot drinks, inspirational items, ornaments, fall/harvest themed, etc. Etsy or other handmade shops would be perfect for this. •Open to US residents, 18 years old & older. •You must post a blog post prior to sign-ups closing with the swap button letting others know about the swap. •Please use #cozyboxswap2014 on all postings. •If you don’t send a package you will be blacklisted from all future swaps. Recently I participated in another swap by CG Swaps, this one was their Swapoween swap. It was a bunch of fun, and great because I love decorating for Halloween. I was paired with Beth from Printcess & Living a Goddess Life who happens to be a host of the swap. She put together a really awesome and thoughtful box. 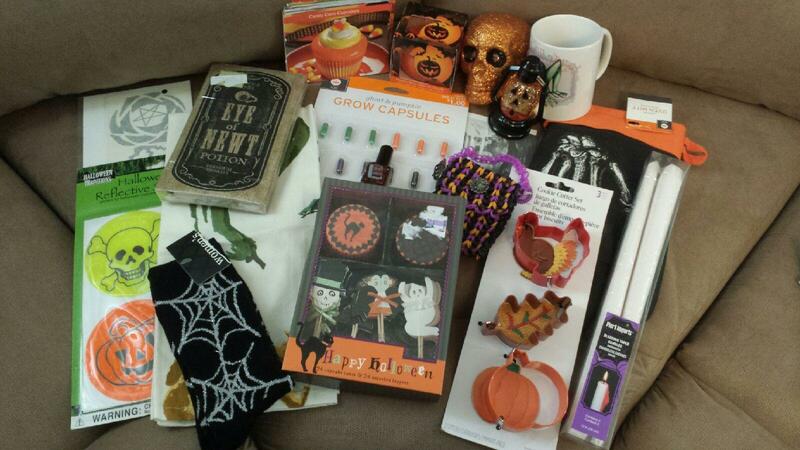 Like I said Beth did a great job of picking out items, she really spoiled me! 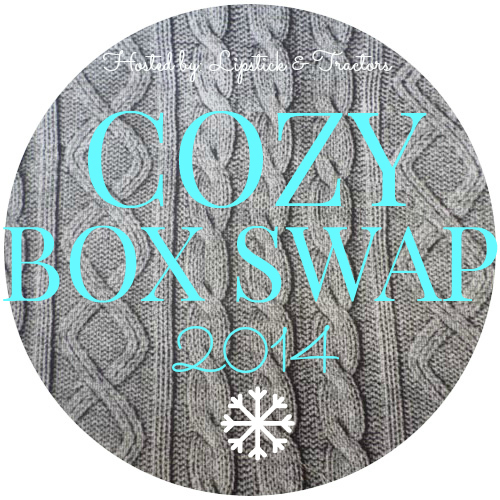 Cozy Box 2014 Swap Sign-Up.